Hey Guys, I am back to share my wedding outfit pictures. 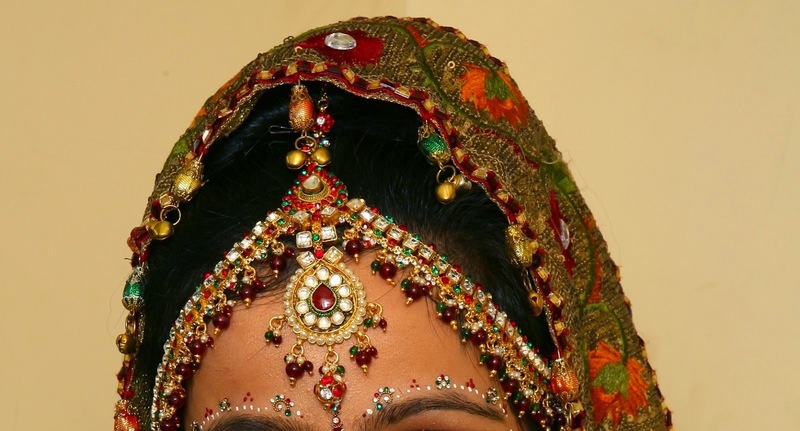 Kutchi Bridal wear comprises of two sarees: The Panetar and the Gharchola. To know more about the Panetar, read this post. The gharchola typically is deep red in colour with gold zari checks all over the saree. There are little white dotted motifs inside the checks which are done using the bandhani or tie and dye technique. Some of the common motifs done on the Gharchola are elephant, lotus, flowers, peacocks, etc. The Panetar is gifted by the Bride's maternal Uncle and the Gharchola from the Groom's family. The combination of both these sarees represents the beautiful union of the Bride and Groom's family. When both the sarees are draped together they create a magnificent look fit for the Royals. Add to that the traditional Maang Tikka, Nathni, and loads of other jewellery and you have a picture perfect Kutchi Bride. Some more pics from the wedding. Tomorrow I will publish the the Finale post of the So-Shaadi Series. So make sure, you come back. Wow!!! You look divine! That red and white Saree looks so royal! P.S. : Love the style of draping too! Beautiful smile and pics. Loved both your Panetar and Gharchola.